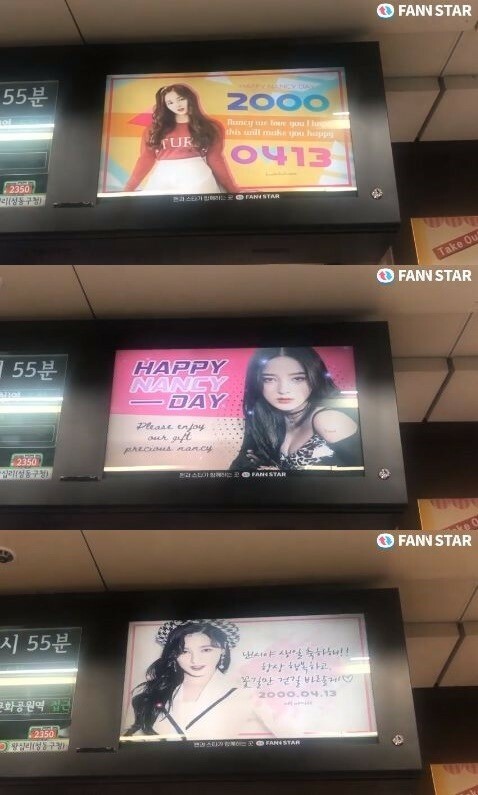 MOMOLAND Nancy, Electronic display board prepared by global fandom for her birthday. [The Fact] The idol weekly ranking website FAN N STAR operate by The Fact, released an electronic display board that is being shown in South Korea, successfully supporting the group's Momoland Nancy's birthday. FAN N STAR released a video of Momoland Nancy's birthday on 13, which is being screened at a subway display on Line 2 in Seoul. On April 15, FAN N STAR held Nancy's birthday event and achieved 100%. As a result, advertisements for electronic display boards at 43 subway stations on Line No. 2 in Seoul have been confirmed from April 9 to April 15. The released video lists the messages and photos of fans who participated in the Nancy Support. The nick name 'fellow dork' said "Happy Birthday Nancy!!! ", nick name 'badethskiiieee' said "Nancy we love you I hope this will make you happy"
MOMOLAND will attend the U+5G The Fact Music Awards, which will be held on April 24.